Sometimes the simple things are best. There's nothing to improve upon here. Just gorgeous juicy fruit, a hint of sweetness, a little crunch and a touch of freshness. 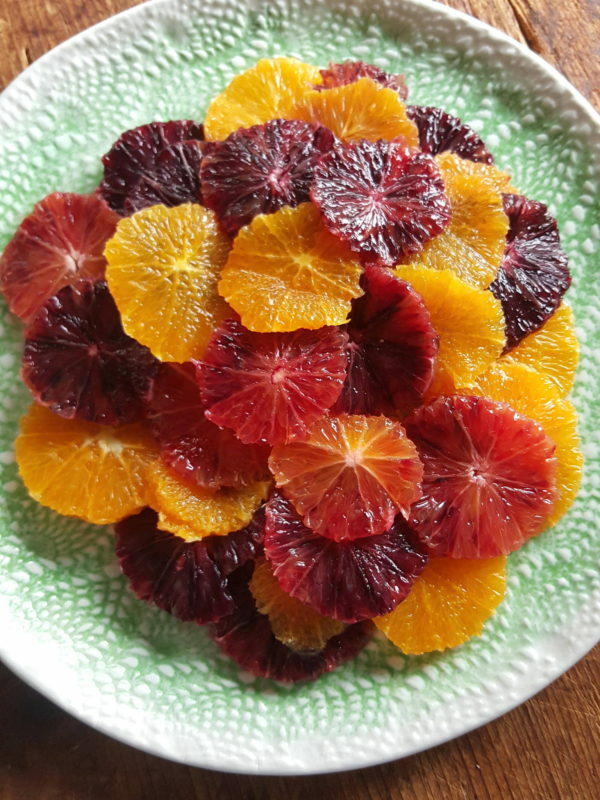 If blood oranges aren’t available, use 4 regular oranges. 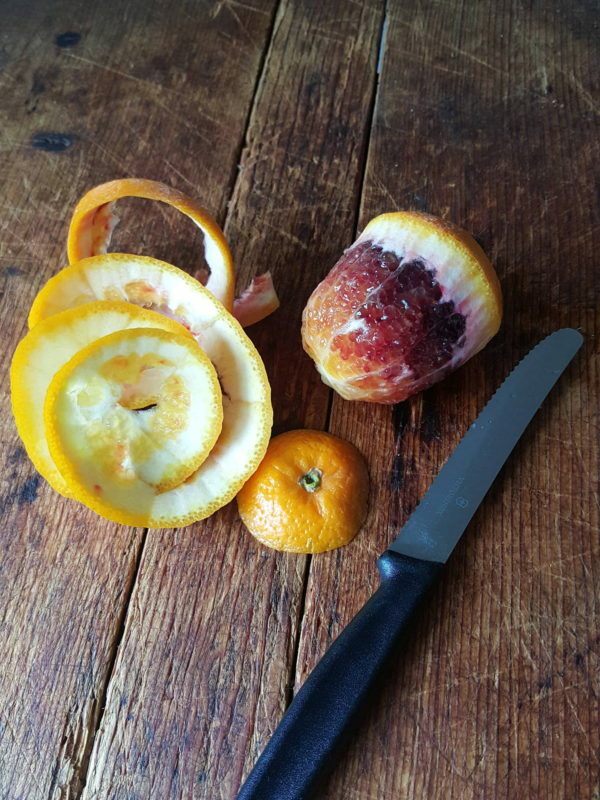 1 Peel oranges with a small serrated knife, removing all the pith, then slice into rounds. 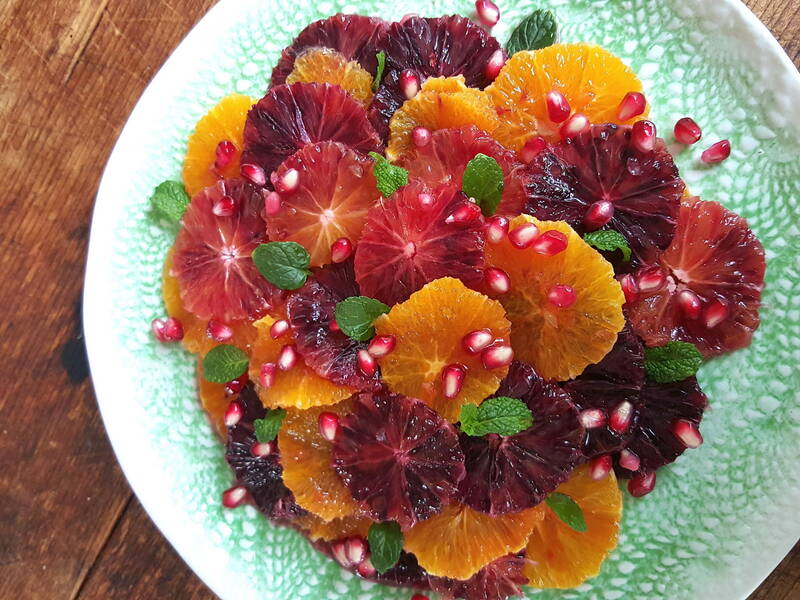 Arrange on a plate and scatter with pomegranate seeds, if using, and mint leaves. 2 To make the maple dressing, mix syrup, orange juice and lime or lemon juice together in a ramekin and pour over fruit. Leave to steep for 30 minutes before serving. Summer's coming ... close your eyes, sniff this bowl of gorgeous fruit and you are there!